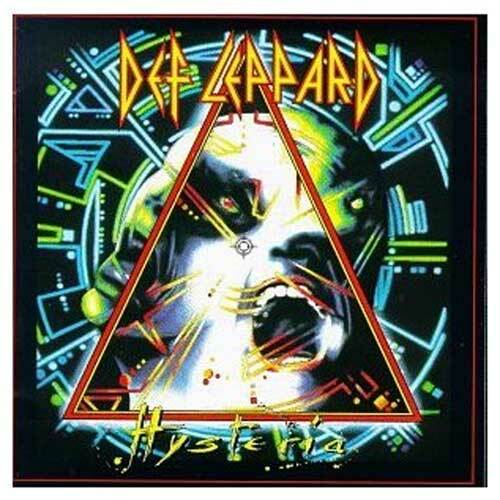 View Larger Hysteria CD Probably Def Leppard's best album, and certainly their most successful, Hysteria pretty much sums up 80s hard rock: catchy, tuneful, and fun. It's also one of the few albums from the period that doesn't sound dated now, and singles like "Pour Some Sugar On Me", "Armageddon It", and "Rocket" remain staples of rock radio. The rest of the album is equally entertaining; "Animal" and "Hysteria", while mid-tempo, have the same slick intensity, and "Love Bites" is one of the few pop-metal ballads that doesn't sound saccharine over a decade after its release.